Search Results for: "poetry review"
…the contemporary poetry anthology Reactions. 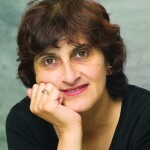 For several years she was Historic Recordings Manager for The Poetry Archive and in 2015 co-edited the Spring edition of Poetry Review with Moniza Alvi…. …Competition 2009. He received an MA in Creative Writing from UEA in 2000 and has published poems in Modern Poetry in Translation, Poetry Review, Poetry Wales and The Southern Review…. …There Yet?, was published by Smith/Doorstop in 2013. 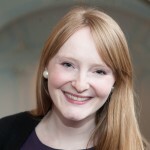 She is also published in The Poetry Review, Poetry News, The North, Magma, MsLexia and the 2006 Arvon International Poetry Competition anthology…. …published in The Poetry Review, Poetry, The Journal, Southern Indiana Review, The Rumpus and others. 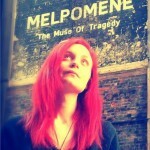 She is a Project VOICE teaching artist and a member of the Dark Noise Collective…. …for both the Pushcart Prize for Poetry (USA) and a Forward Prize (UK). He writes for The Poetry Review, the Guardian, TLS, PN Review, Poetry London, and Nuova Corrente (Italy)…. …delicias, ‘Ψ or the Garden of Delights’ (2014) won the León University Poetry Award. Louis Bourne’s translations of poems from this book appear in The Poetry Review, 108:2, Summer 2018…. …and winning the 2011 T S Eliot Prize with his collection Black Cat Bone. His essay ‘Dear Hart Crane’ was featured in the Summer 2011 issue of The Poetry Review…. …magazines of the English-speaking world”. 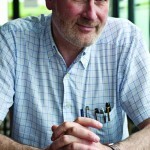 Gerry Cambridge’s poem, ‘Order’ was featured in the Autumn 2012 issue of The Poetry Review. He was a judge for the National Poetry Competition in 2016…. John Whitworth’s poetry has been featured in The Poetry Review since 1982, the most recent being ‘Religion and Poetry’ in the Winter 2008 issue…. …to date and has won prizes in both the Cardiff and National Poetry Competitions. Her poems ‘Lydia’ and ‘Ellen’ were featured in the Summer 2005 issue of The Poetry Review…. …founding editor of the anthology series Stop Sharpening Your Knives and has written criticism for both The Poetry Review and Poetry London. He was a judge for the National Poetry Competition 2016…. …of Massachusetts Amherst and a member of the American Academy of Arts and Letters. His poem ‘The Plumber’ was published in The Poetry Review, Vol. 90, No. 2, in 2000…. Andrew Buchanan Jackson was born in Glasgow in 1965 and raised in Bramhall, Cheshire. His review, ‘Under the Limit’ was featured in the Autumn 2014 issue of The Poetry Review…. …Jerwood Compton Poetry Fellowship. His poem, ‘Sound Machine’, first published in The Poetry Review, 107:1, Spring 2017, was the winner of the Geoffrey Dearmer Prize 2017, judged by Ocean Vuong…. …The Poetry Review, is the author of Goldfish (Chameleon Press, 2013). 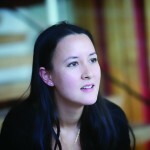 She is currently completing a PhD on place and identity in contemporary Chinese diaspora poetry at Oxford Brookes University…. …She was Editor of The Poetry Review, 2005-2012, and now edits Poem. Her fifth poetry collection was Rough Music published in 2010 and her latest collection is Coleshill (Chatto, 2013)…. …Why Things Matter: the place of values in science, psychoanalysis and religion (Routledge 2011). His poem, ‘The Arrow Maker’ was featured in the Spring 2013 issue of The Poetry Review…. …NEXT, a daily newspaper. His poem, ‘(at)TEXT’ was featured in the Winter 2012 issue of The Poetry Review. His poetry has also appeared in Wasafiri, London Magazine, Sable and Magma…. …Creative and Critical Writing at the University of East Anglia. In 2016 she was the guest co-Editor of The Poetry Review, working with Maurice Riordan on the summer issue 106:2…. Vladislav Khodasevich was an influential Russian poet and literary critic. His poem ‘The Dactyls’ appears in the Autumn 2010 issue of The Poetry Review…. …poems ‘A Letter to Emily Dickinson’ and ‘True Voice’ were published in the Summer 2011 issue of Poetry Review. She was also shortlisted for the Geoffrey Dearmer Prize in 2011…. Richard Kerridge’s poem, ‘The Seasonal World: The Season Of The Newts’ was featured in the Winter 2011 issue of The Poetry Review…. Claire Crowther’s poem ‘The Apology, Coincidence of Bodies’ appeared in the Summer 2013 Issue of The Poetry Review. She is poet in residence at the Royal Mint Museum during 2014-2015…. …author of Antes y despues del Bronx. 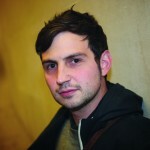 His poems ‘Honig’ and ‘How to Make Love to a Dying Rican’ were featured in the Winter 2012 issue of The Poetry Review…. …Maltese poet Immanuel Mifsud as Confidential Reports (2005). He has taught at Imperial College and Goldsmiths College, London, and Sheffield Hallam University. He was Editor of The Poetry Review, 2013-2016…. …New Writing 10 published by Picador in 2001. He became a Fellow of the Royal Society of Literature in 1982. He is a former Guest Editor of The Poetry Review…. …(W.W. Norton, 2004) and Lucifer at the Starlite (W.W. Norton, 2009). Her work was featured in a 2014 edition of The Poetry Review, and she currently lives in Oakland, California…. …esoteric and unusual words. Two collections of her poems were published by Peterloo Press in the 1990s, when she also featured as the The Poetry Review‘s Poet of the Month…. Amaan Hyder’s poem, ‘At Hajj’ was featured in the Spring 2013 issue of The Poetry Review…. 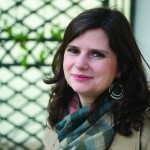 Miranda Yates’s poem, ‘Chocolates for Colonel Gaddafi’ was featured in the Spring 2013 issue of The Poetry Review…. …latest collection, Olives was published in 2012, and her poem ‘The Last Carousel, Aftermath: Battle of Plataea (Out of Herodotus)’ appeared in the summer 2013 issue of The Poetry Review…. Angel Gonzalez’s poem, ‘Zero City’ was featured in the Spring 2013 issue of The Poetry Review…. Valeria Ferraro’s poem ‘A Blaze becomes Fire’ appeared in the Summer 2013 issue of The Poetry Review. Her most recent books are wasurenamu and zoology….